In the world of The Witcher, training takes place at different schools, each in a different location and focusing on different fighting techniques. 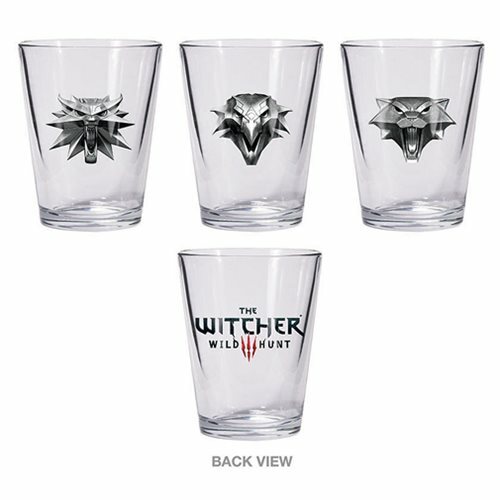 Dark Horse have taken the emblems from the three best-known schools - a wolf, cat, and griffin - and applied them to shot glasses with the Witcher logo on the reverse. Packaged in a handsome box, The Witcher 3: The Wild Hunt Shot Glass Set is a great way to add to your kitchen, bar, or secret under-the-desk celebratory casket.